The Outdoor Ministries Committee is looking for material to add to the Outdoor Ministries Archive. This material may be either donated, or simply loaned so that it can be scanned and preserved electronically, then returned. 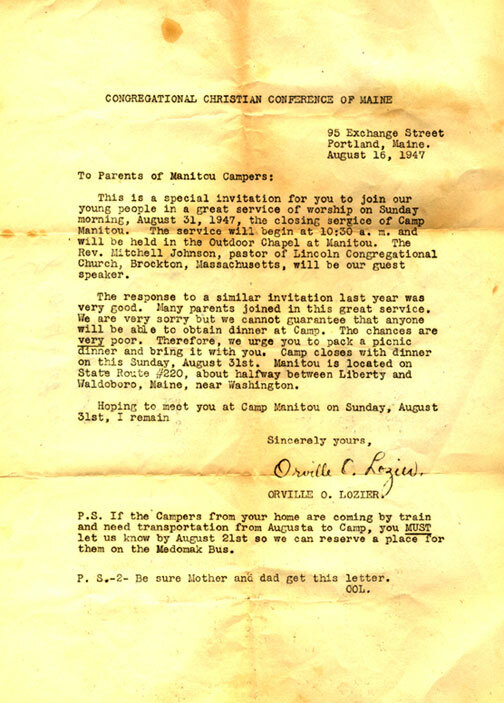 We are looking for materials from Pilgrim Lodge, as well as from the youth camping program that ran from 1925-1955. Perhaps, you, your parents, or your grandparents attended some of these. Some of the names of these camping programs were: Camp Manitou, Camp Akita, Camp Mowano, and Cobbosseecontee (or Cobbossee). Some of the places where they took place were: the state YMCA camp in Winthrop, Camp Medomic in Washington, and Camp Passock in Brooks. We are looking for photographs, brochures, letters, souvenirs, T-shirts, store items, or anything regarding the camping program. It is most helpful if material has the date, or at least the year affixed to it. 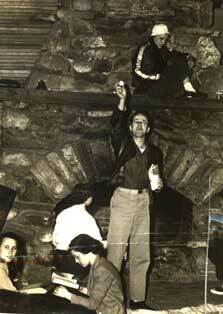 We are also seeking Pilgrim Lodge and trip camp materials from 1956-1994. Although we do have many of the all-camp photos, countless numbers are not dated or labeled so loaning us your copy with that information would be very much appreciated. Please send material to Pilgrim Lodge Archive Project, 103 Pilgrim Lodge Lane, West Gardiner, ME 04345. If you have any questions or wonder if your material is needed, please contact us.